So far I’ve filmed all my podcasts alone. Just a man, an idea and his camera. This can be, of course, a real pain. No one to pay close attention to the camera and sound. I’ll be doing a post on my setup in the future, but thought I would share my camera setup with you. 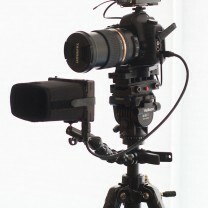 My whole setup is mounted on a discontinued Velbon tripod. The new equivalent is the Pearstone VT-2100. 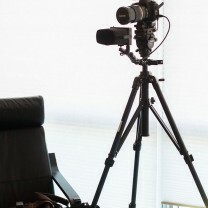 This is a small, light weight tripod that can handle up to 15 pounds. 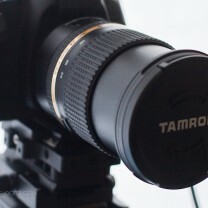 I film most of my shows with a 5DmkII and the new Tamron 24-70mm F2.8. I LOVE this lens… Fast, sharp and perfect for most shooting and quickly framing in different situations. 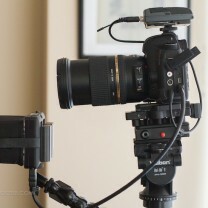 For audio, I use the Sennheiser G3 wireless lapel kit. I usually run sound straight to the camera since I am going to web and the audio will get compressed anyway. 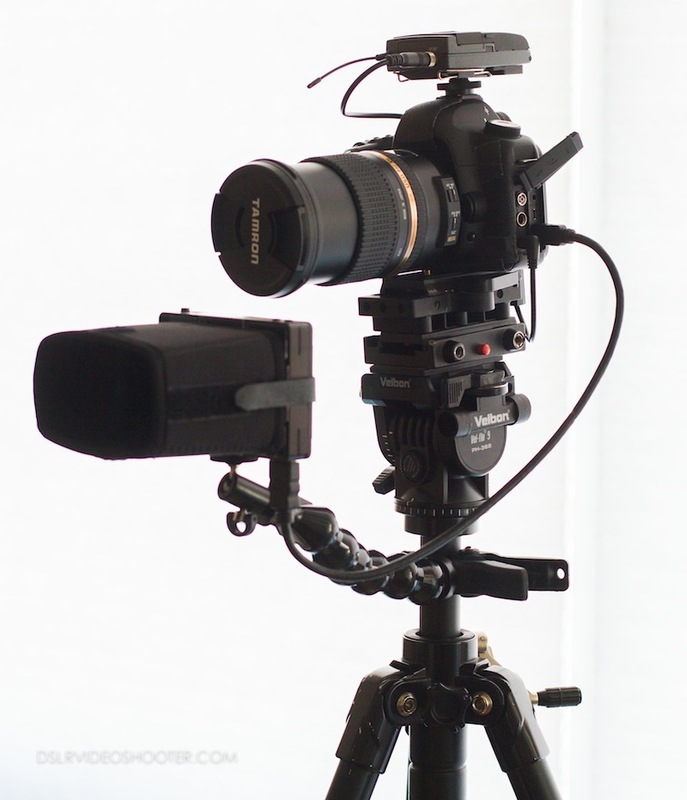 For monitoring, I mount a SmallHD DP4 to a Dimkum System ActionPod. This allows me to monitor while recording and make sure I am in frame with whatever gear I am talking about etc. Thats about it! Pretty simple. Let me know if you guys have any questions! Cool setup! How do you ensure critical focus manually though if you’re the subject? Would love to hear your take on the Tamron 24-70 I have been contemplating purchasing this lens but have read a number of reviews that were really excited about the lens and then came back later only to be disappointed. Things like auto focus being off, dust getting in the lens really easy, motors dying or being loud etc. Have you had any of these issues? I put a light stand next to me, focus on the light stand, then move it just out of frame… Video on all that soon. It has been fantastic. Love love love the lens. No issues for me! and another device to the Zoom recorder & to the camera. Is there any device in your knowledge? Budget price? suggestion for any budget monitor and connection.